Looking for an alternative activity to ignite the imaginations of your reluctant writers? Use this fun comic book template to introduce creative writing to your students. Novice writers and artists alike will delight in the chance to create their own comic strips! Help excite and inspire your reluctant writers with this fun comic book template. Budding writers and artists alike will love the chance to get creative with this comic book template. Take your stand among the comic book greats, and create your own superhero legend! Your cartoon-crazed creative kid gets to decide what the cool cartoon characters say. Get your little traveler ready for a âround-the-world adventure! 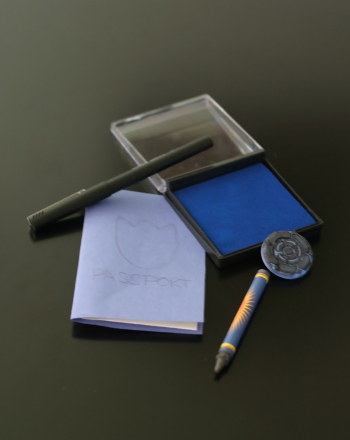 Kids will get a geography lesson, writing practice and a great appreciation for traveling. Fill in the speech bubbles of this scene to make a cartoon, but only if you're not afraid of spiders! 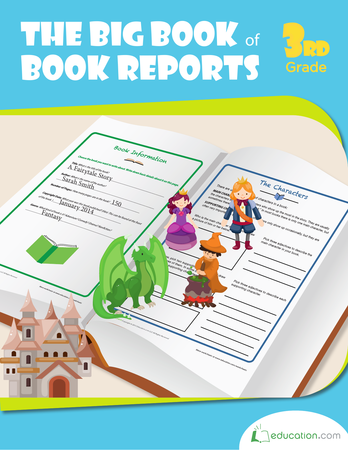 Make book reports a breeze with this workbook that contains plenty of pages for kids to thoroughly investigate and write about a book. Is your town famous for being the home of a creepy creature? If not, this worksheet gives kids the opportunity to create one! Fill in the word balloons and make up your own comic! Here's a chance for your kid to dream up his very own superhero! With this narrative writing worksheet, he'll brainstorm strong verbs and adjectives. 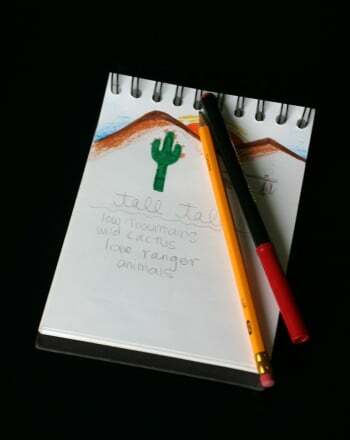 Unleash your child's imagination by inviting her to create a tall tale set in her own hometown. 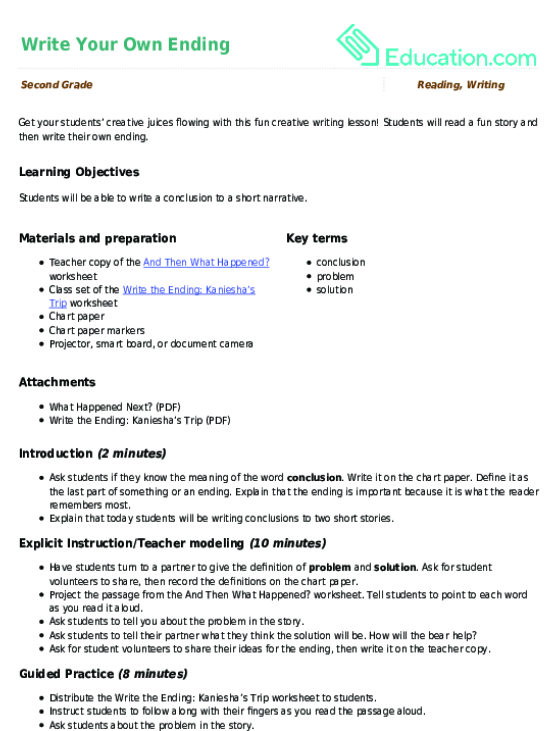 Get your students’ creative juices flowing with this fun creative writing lesson! Students will read a fun story and then write their own ending.